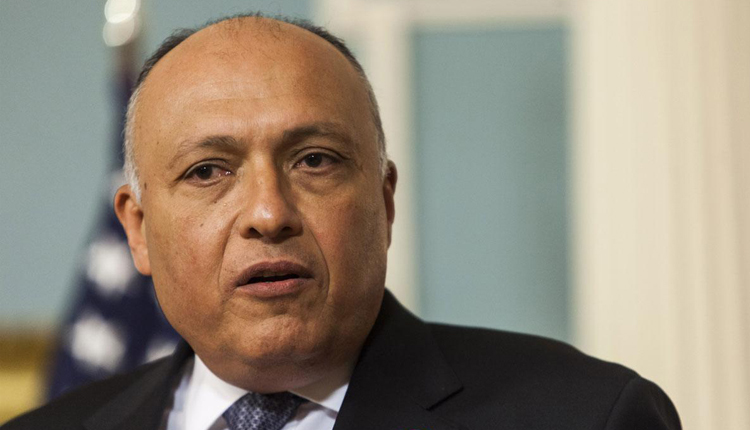 Egyptian Foreign Minister Sameh Shoukry discussed bilateral ties and developments in the Arab world with his visiting Moroccan counterpart Nasser Bourita in Cairo on Tuesday. The two top diplomats underscored the importance of bolstering mutual cooperation on all levels including economic and trade ties, the foreign ministry said in a statement published on Facebook. The duo discussed current challenges facing Arab countries, with a focus on Syria, Libya, Yemen, and Palestine. They stressed on the “importance of strengthening the mechanisms of joint Arab cooperation in order to enhance the capabilities of Arab countries to meet different challenges,” foreign ministry spokesman Ahmed Hafez said in the statement. The two also looked at a number of African, regional and international issued of mutual interest.